১৯৪৭ দ্য লেডি ফ্রম শাংহাই The Lady from Shanghai নোয়া শেরউড কিং এর উপন্যাস থেকে। ডেভিড কারের মতে "the weirdest great movie ever made"
↑ Rosenbaum, Jonathan. 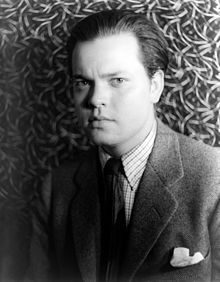 Discovering Orson Welles. Berkeley and Los Angeles, California: University of California Press. 2007. Pp. 6. ↑ "TSPDT – The 1,000 Greatest Films: The Top 200 Directors" ওয়েব্যাক মেশিনে আর্কাইভকৃত ১৯ এপ্রিল ২০১২ তারিখে. They Shoot Pictures, Don't They? Theyshootpictures.com. January 2010. Retrieved January 27, 2011. ↑ Cowie, Peter. "The Cinema of Orson Welles. "1978, A.S. Barnes & Co.